No equal in looks and functionality. 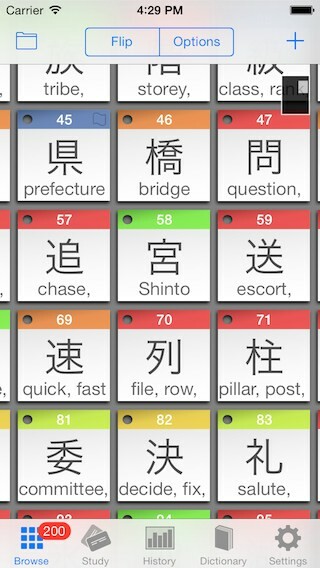 This app is absolutely the best all-inclusive app for the studying of Japanese kanji. The addition of the writing/drawing window & animations makes it close to perfection. 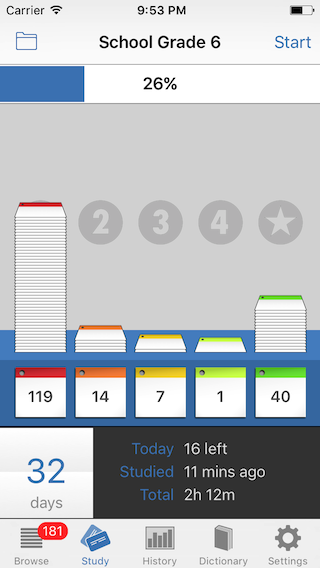 StickyStudy stands out because it feels like you're using a real set of flashcards. How many apps allow you to zoom out and see all your cards on one screen? Thanks to the SRS algorithm you'll only study flashcards you need to study without wasting time on cards you already know. Just set a goal (for example an exam date) and let the app work out your daily study. Zero setting up - just download and start. 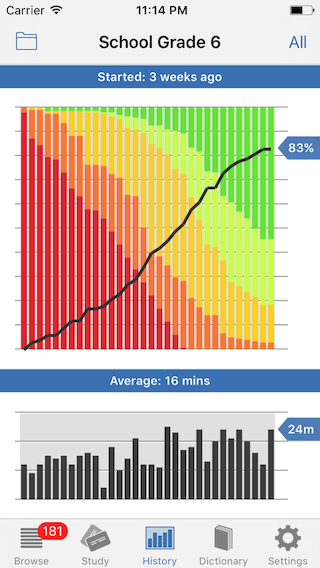 Released in 2009, StickyStudy makes study time seriously addictive. Full documentation online and in the app. KanjiVG is copyright Ulrich Apel and released under the Creative Commons Attribution-Share Aline 3.0 licence. KANJIDIC is copyright of The Electronic Dictionary Research and Development Group, Monash University. All other data files are copyright Justin Nightingale. Spaced Repetition System allows you to study more of what you're weak at and less of what you're good at. Copy and paste Japanese text to produce the readings, furigana and English. Many options. 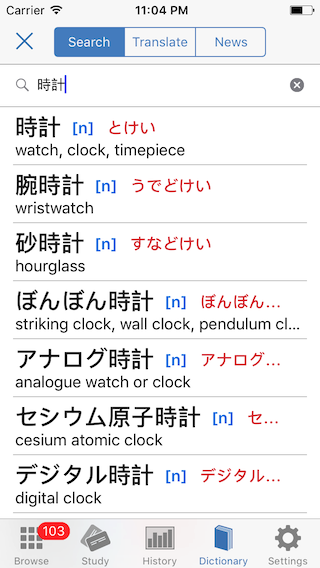 Full dictionary (including names) with native audio. Built in RSS like Japanese newsfeed. Tap an article and have it broken into words and furigana ready to study. Zoom in and out to see all your stickies on one screen. Touch any sticky to show more detail. Tile content is fully customisable. Hear 8000+ words spoken by a human speaker. If you're going to learn, learn it right. Huge database of examples all cross-referenced and hyperlinked. 6500+ large kanji animations with a built in writing trainer that teaches you how to write each and every one of them. Import your own by typing directly into the app's import box or copy/paste from another source. Many format supported including CSV. Your study history beautifully laid out as a rolling bar chart. Touch any bar for more detail. Set a date and be guided each day towards your goal. Backup and sync between devices. 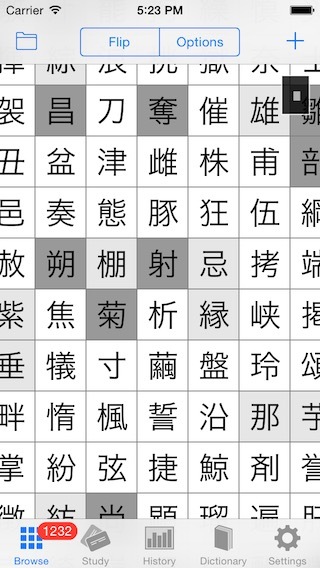 ✩ Details for 6355 kanji: radicals, elements, SKIP, etc. 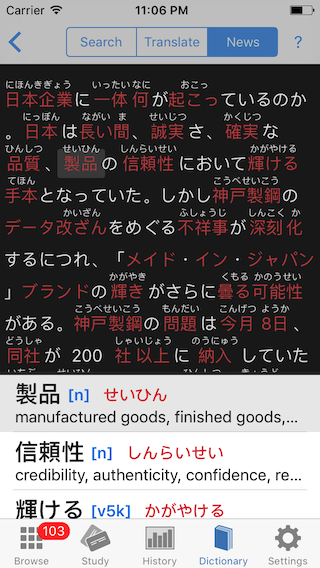 "There isn't a better set, nor app, of Japanese kanji and vocabulary in the AppStore." "I got my JLPT1 a few years ago and want to study some more again. This app blew me away. A must buy for those who are serious about study." 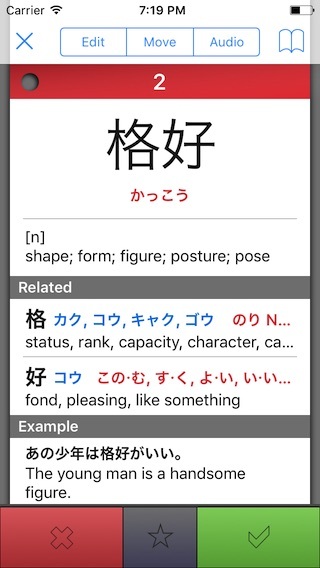 "Perfect flashcard app for improving your Japanese with a great design and fantastic content. Just keeps getting better and better." "I looked at every kanji app there is, and installed and tested most of the more promising ones. StickyStudy is easily the hands down winner, for all the great features so many others have already mentioned: the similar characters section, the scheduler, the progress visualization, the drilling down to explore anything that interests you, the built in dictionary saving to a learning deck, just the right amount of customization ability. Kanji felt like an insurmountable obstacle and now I feel like I am cruising on autopilot." "Do yourself a favor and just but it. One of my favorites, worth much more than its priced." "So far the best Japanese language app on iTunes"
"It just keeps getting better and better with each update, even though it's close to perfect anyway." "This app is really amazing. It's constantly being updated and improved. If you're serious about learning Japanese then you really need to download this." 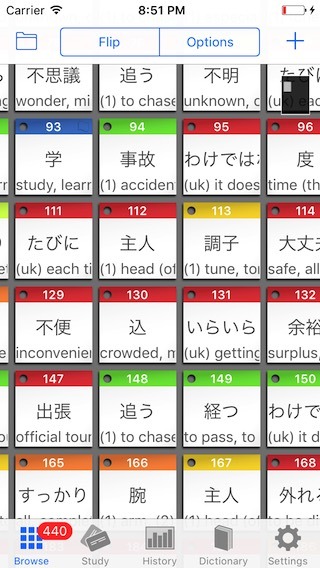 "The perfect flashcard app for improving your Japanese vocabulary & kanji. Plus the audio means you can ensure your pronunciation is spot on. Great design and fantastic content. Just keeps getting better and better." "In context for me this app is amazing. I spent 7 years in Japan and speak fluent Japanese but my reading and writing skills are at a modest intermediate to advanced level only. I'm currently using this app to do a complete review of the entire language and finally finish studying the last few hundred kanji I never got to in my studies. I have tons of textbooks but right now this is all Im using." "I sat down with this app and learnt all grade 1 kanji in a matter of days. This app is so perfect and while I have seen a few other flash card programs out, nothing comes close to this. If you are going to study Japanese seriously, this is a must to purchase." "Most apps are either too expensive or frustratingly limited .. This app is great. We have recommended it to other friends in Tokyo and they are addicted. I strongly recommend this app to anyone who is serious about expanding their vocabulary. IT IS WORTH EVERY PENNY!!!!" "This is a really good study app, especially if you aren't learning kanji through the JLPT system or School system. I just finished learning a handful of kanji from a book, and I could make a flash-card deck that had all of those kanji in to revise from. And now I'm learning the JLPT kanji, which are all on there too. A must buy for anyone learning kanji!" "The fact that the developer of StickyStudy uses his application himself to study doesn't need to be said. You can tell as soon as you open it up. 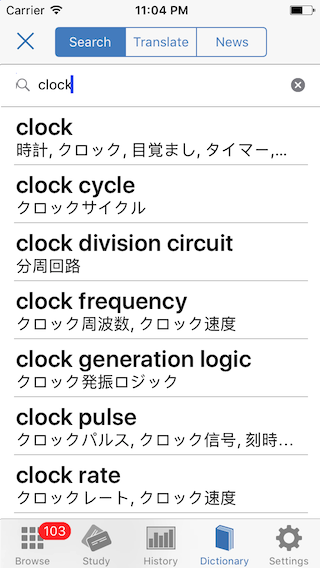 There is a charming attention to detail and design sense about this application, but it only supplements a functionality that is among the most useful I've ever seen for studying Japanese -- regardless of medium. Basically, it's a flashcard application. But the genius is how much of the work it does for you. 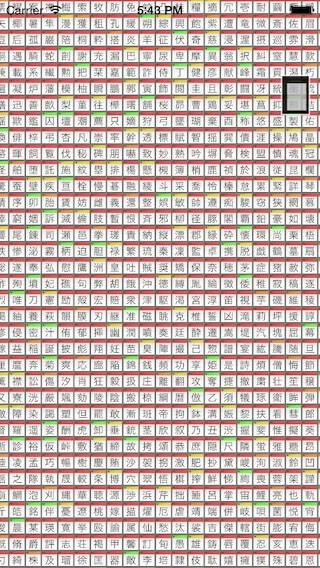 Choose one of many decks (from grade 1 kanji to all 2100+ Joyo kanji), set a date you want to finish by, and just answer as many questions a day as it tells you.My favorite part of studying is the ways it tracks your progress. You're able to view all cards in your deck on one screen, so you can easily glance at how much you have learned and how much you have to go. There's even a progress screen that shows how far you've come. The end result is a very satisfying and rewarding study experience, something that I'm not able to get with more open-ended flashcards programs like Anki.I had a friend who was studying for the JLPT N1 rave to me about this application without even knowing that I used it and loved it too. I've also introduced it to a number of friends who were looking for a good way to study the kanji, and the reaction is always the same: they either buy it immediately after I show it to them, or they jot down the name to check it out when they get home. If you're still on the edge about buying, check out the free version. I haven't even mentioned the vocabulary word decks, the animated stroke orders, and the numerous ways you can customize the studying experience. Stop looking and get this app now.UPDATE (8/19/2012)With each new version, the developer not only adds a further coat of polish to an already pristine user interface, but comes up with improvements and new feature that continually expand the usefulness and effectiveness of the study experience. It's a joy to use because you're able to spend 10 minutes with it and know that each minute will be spent improving your Japanese ability and none wasted on fighting with the program. In my mind this is the goal that all language learning apps should aspire to.My favorite new feature is the ability to customize which information you see on the ‘question’ side of the card. Being able to be prompted with the reading and English meaning and answering with the kanji character itself was an invaluable help while studying for the Kanji Kentei. Thanks for all your help so far and I'm looking forward to the future of this app!" "So far the best Japanese language app on iTunes." "This app is awesome, i wish i had this when first started learning. Not only is very practical but also the design is gorgeous." "StickStudy has been an enormous help with improving my kanji as that has been one of my biggest road blocks in improving my Japanese. All of the little things are really what make this app ... I cannot tell you how well designed this app is. It always works for me, has never crashed, and has been updated twice in the last couple months that I can remember, and could be more. Each of the updates has polished what was already a great app. 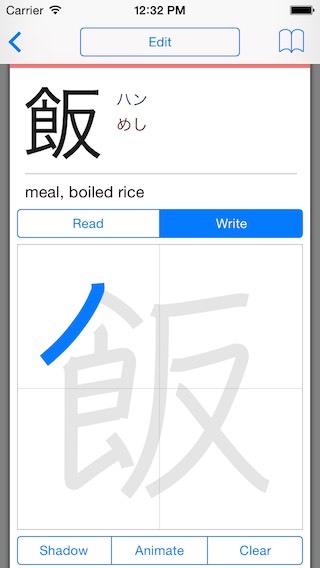 There can be no question that this should be regarded as the number 1 kanji tool on the app store, bar none. A+++++"
"OMG, I have used a lot of Japanese flashcards. This is the best, I have wasted my money on the others. 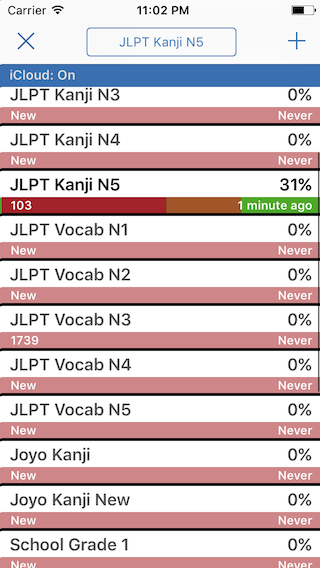 This is perfect … love it love it love it"
"After learning kanji fairly slowly, on and off again for a number of years, StickyStudy helped me achieve the sustained motivation to demolish the N3-N2 Kanji in around 9 months (that's 739 kanji!). There are other spaced learning apps out there, but StickyStudy has a very elegant and intuitive interface, and the History function really shows you how far you have progressed and motivates you to reach 100%.Thank you .. for such an awesome app." 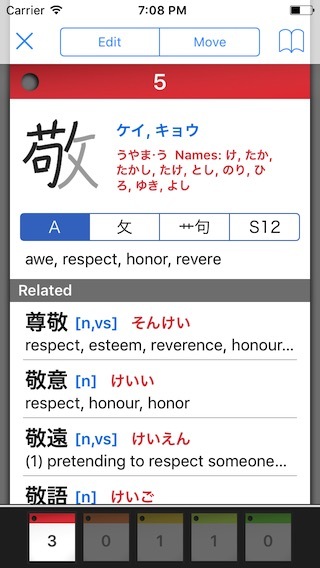 "Best kanji app on the store, hands down. PLUS, the developer works hard and releases updates constantly. He'll reply to any email within 24h.Gorgeous UI, smart learning.You won't regret." 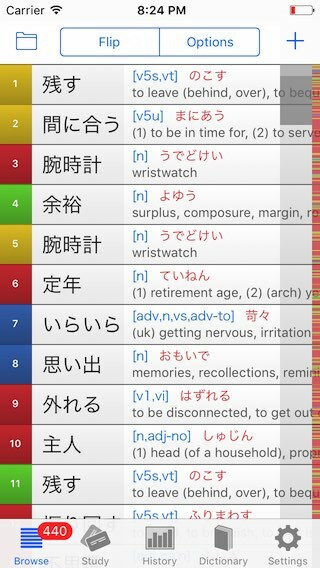 "If you're studying vocabulary and kanji .. this is the best flash card app you can buy"
"This app has taken me from being intimidated of Kanji to it being the most exciting part of my study. 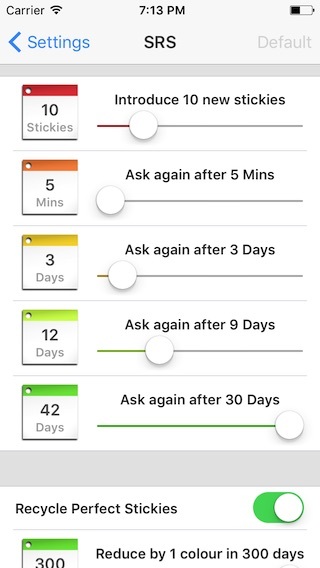 The slick design of the app encourages you to stick around long after your daily quota and keep tapping ... Get this tool when your ready to get serious about your study." "The algorithm is excellent. Just when I'm about to forget something, it suddenly appears again to refresh my memory." "I never write reviews for apps, but I've been so happy with this one ... the developer is really great, and really listens to suggestions and feedback. Updates are frequent, and I saw my request get implemented into the app right away. If you want an effective app for studying and a developer who cares, you really get your money's worth with this one." "The Japanese app you've been waiting for"
"Absolutely great, my 2 best tool for Japanese study are the app "Japanese" as dictionary and "sticky study" for testing myself. Maker of the app is open to comments and constantly improve the app. A safe buy. Enjoy your study"
"I use it on the train, before bed and it has gotten constant mileage since I downloaded it. (Second or third most used app on my iPhone next to Twitter and Stitcher!). Get it... and spread the word!!!" 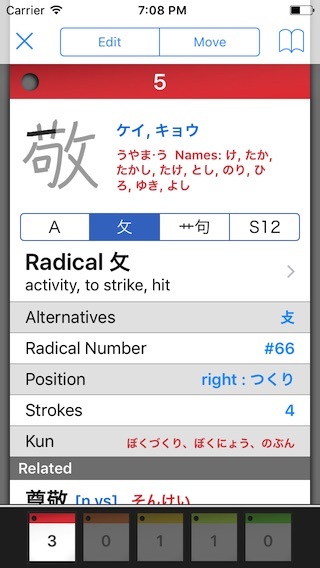 "I wouldn't be studying Kanji without this App." "I've bought/tried countless applications, looking for the perfect Kanji studying app. However, most other apps always have something that never sits right with me. 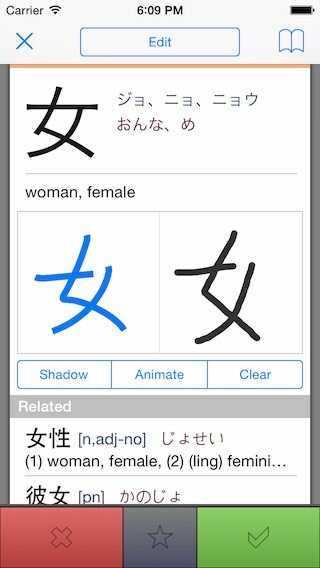 StickyStudy Kanji gets absolutely everything right. 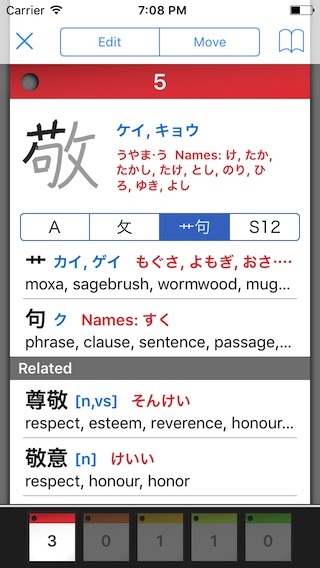 If you are trying to study Kanji, don't buy other apps or try messing with decks with mobile Anki. Grab this one. It has lists for all the different Kanji, for JLPT, school grades, and more. I can't give this enough praise, don't waste your money/time with other apps like I did. Just grab this one. It's well-designed and it works." 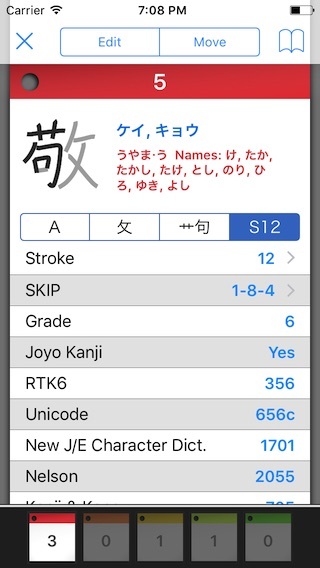 "This is the BEST kanji study app I found. Period." "I am sooooooooo happy with this app. 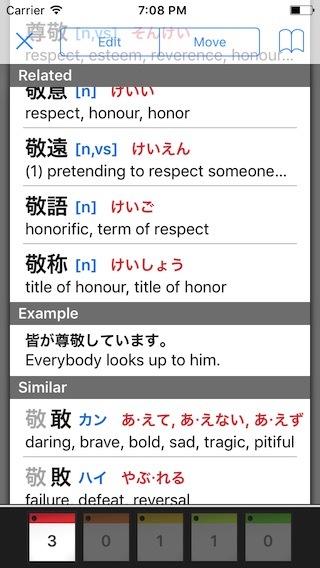 I am using it in conjunction with my Japanese class in college and it is helping sooo much with class and I am learning some kanji that we never touch on in class. Great for anyone who wants to learn kanji for academics or just for fun. It's a great app that I use whenever I have a minute or two of free time." "This app has been one of the greatest learning tools I've come across. I absolutely love it, and the new speech function makes this app a million times better. Definitely recommend this to anybody who's serious about studying Japanese." Quoted (with corrections) from App Stores around the world.